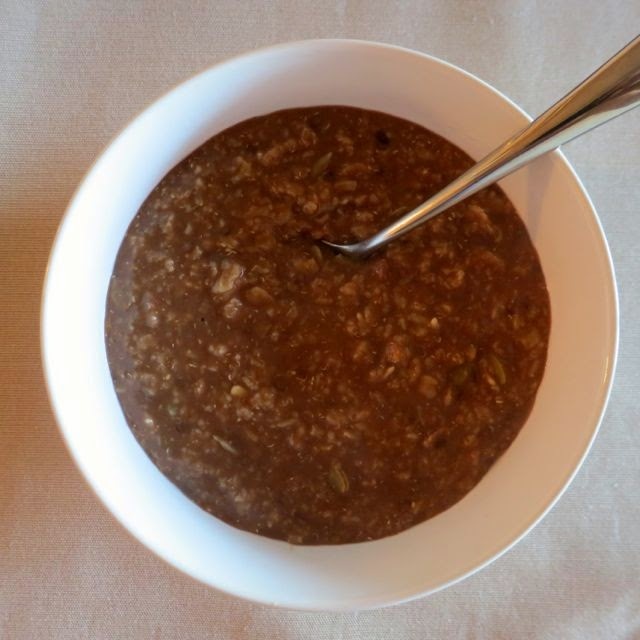 Oatmeal isn't the most exciting thing in the world and I bet if given a choice of all the delectable items on the breakfast menu, oatmeal wouldn't be your first choice. 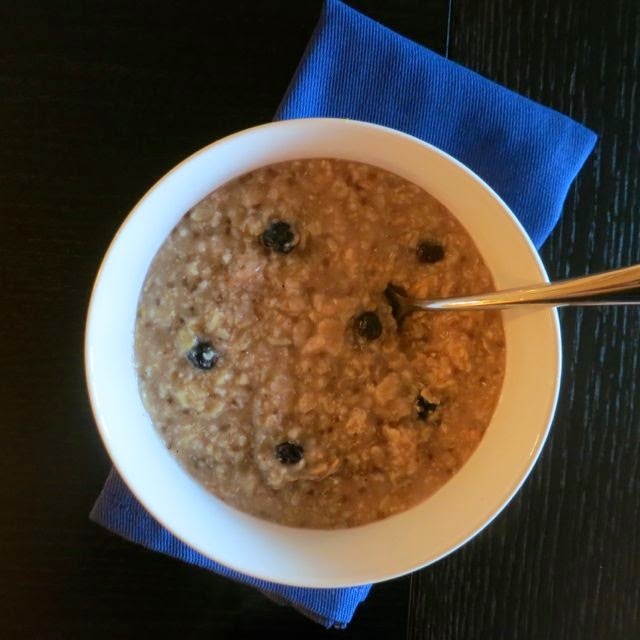 But, believe it or not, oatmeal is not only good for you, but it can taste great too! 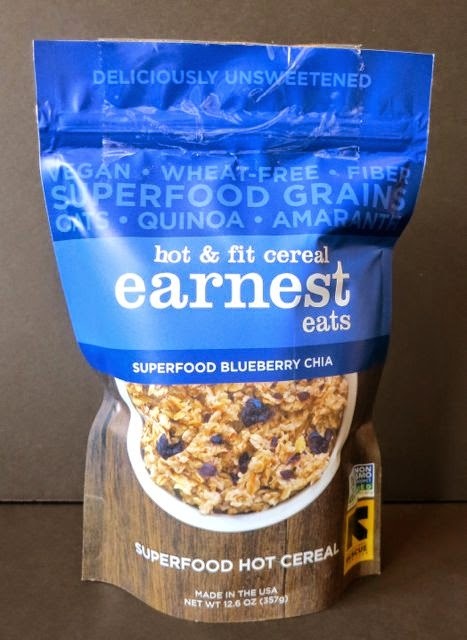 Earnest Eats has taken rolled oats and made them even more nutritious by mixing them with superfood grains like quinoa and puffed amaranth and on top of that, they added an array of other nuts, seeds, and dried fruits to bring a "wow factor" to your morning meal! What makes their new oatmeal mixes unique is that there is very little sweetener if any at all. In fact, only two of the four flavors have any added sweetener at all. This is great for people who are trying to limit their sugar intake and for people who just generally want to eat healthier. If you are used to eating very sweet cereals like Quaker-brand oatmeals, then you will probably take a bite of these cereals and remark that there is very little flavor. But, what you have to realize is that they are completely natural, filled with good-for-you grains, nuts, and seeds and if you want them to be sweeter, all you have to do is add your own sweetener like agave nectar. I tried them both ways and liked them with and without added sweetners. My favorite was the Blueberry Chia by far. In their new eco-packaging, they combined whole grain oats, quinoa, puffed amaranth, dried blueberries, sunflower seeds, chia seeds, Korintje cinnamon, and sea salt. The quinoa and amaranth give the cereals a nutty texture while the blueberries and seeds give it all the flavor. I loved the big, juicy blueberries! Then there is the Asia Blend that is loaded with raw chopped almonds, chopped dried mango, raw sesame seeds, raw sunflower seeds, raw fax seeds, matcha green tea, dried cane syrup, Korintje cinnamon, and sea salt. I love the array of raw seeds in this mix. Even with the added cane syrup, the sugars are only 2 grams along with 5 grams of fiber and 6 grams of fat (per serving). This health in a canister. 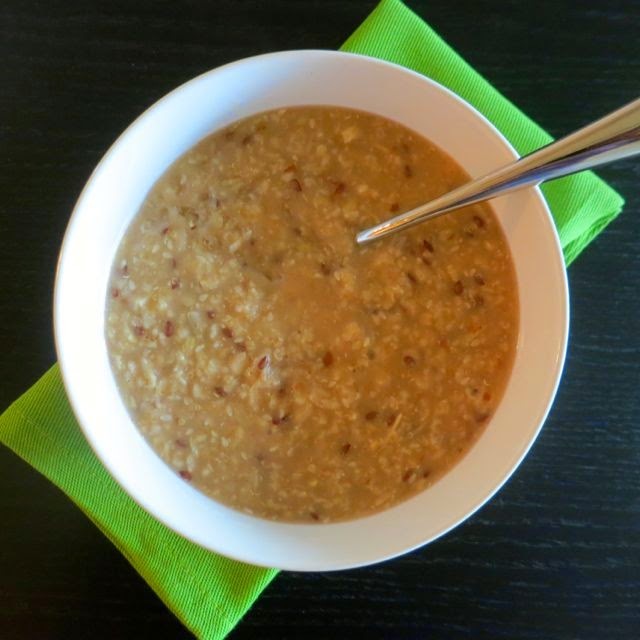 The American Blend has all the grains with juicy dried cranberries that plump up when cooked along with the crunch of almonds, sunflower seeds, flax seeds, and pepitas. This is another one with a little added dried cane syrup giving it 1 gram of sugar per serving. The Mayan Blend is like cocoa meets grains and seeds in a cereal! With pepitas, sunflowers seeds, cashews, almonds, and flax seeeds along with cocoa you really get the nuttiness of the nuts and almonds with the chocolaty cocoa flavor. For those of you on-the-go, they also make the single-serving cups, which are very convenient -- you just need to find the boiling water! All of these cereals are made with rolled oats. 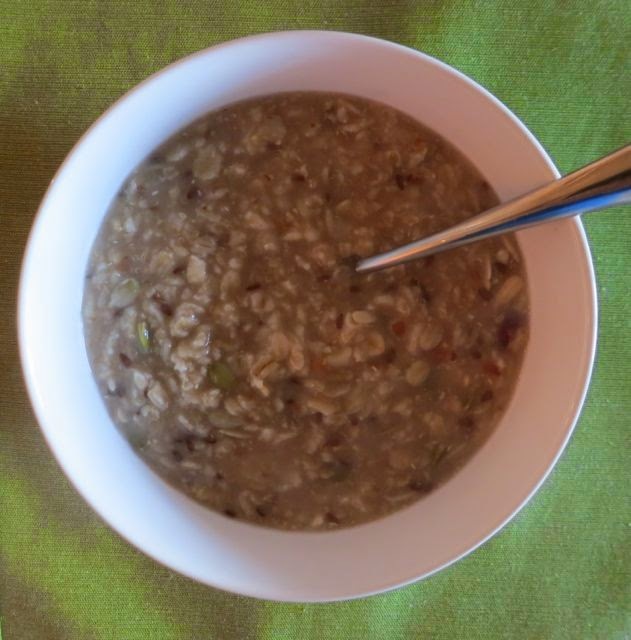 Rolled oats have the bran mostly removed and are rolled flat to make them easier to cook. With the bran removed, they have less fiber than steel-cut oats, but instead of cooking in 30 minutes, they cook in 15. 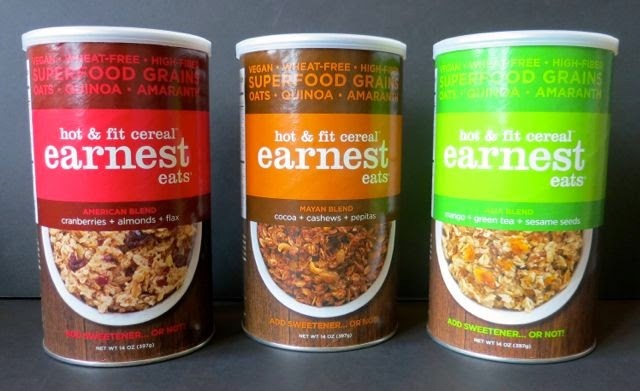 I think Earnest Eats has done a nice job of creating mixes of healthy grains, seeds, nuts, and berries that will allow you to start the morning off right. They retail for $5.99 per container and you can order them on Amazon here . Start your morning off right with some whole foods happiness.